Ready for Concert? Why not hire a chauffeur transportation? Summer’s in London is wonderful and charming because this season the city holds some of the best concert & sports events. Like from changing the Guard ceremony outside the Buckingham Palace to Centenary of the Royal Air Force – RAF100, Buckingham Palace: summer opening tour to London Design Biennale and many more exciting musical festivals. At this time, the air in London becomes mesmerising and glamorous. And, if you want to make the utmost from these festivals and concerts, don’t limit yourself to public transportation. Hire chauffeur-driven vehicles like Bentley or Limousine to reach concerts & events on time and get the most out of the events. Reliable & Security: Chauffeur Driven Transportation offers the best experience as they are secure and reliable. Moreover, the professional chauffeurs assure you to drop the event on time. Chauffeur-driven vehicles are trustworthy as if you want to leave some of your stuff in the car the uniformed chauffeur won’t touch or check it. Sports events are the right time to pamper yourself. Getting chauffeured in the pristine vehicles gives you the best experience of life. Chauffeur meaning a professional who has gone through extensive training, not only in driving but all terms. Right from the picking to dropping at events, chauffeur vehicles makes you feel like a celebrity. Imagine arriving at the concert in a decadent Bentley; we are sure you won’t regret it. 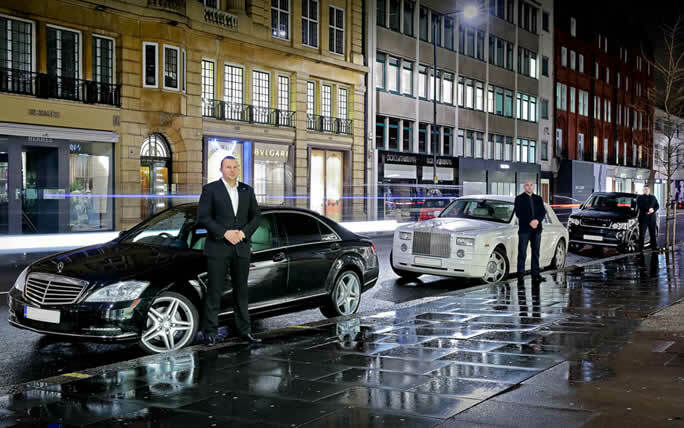 Book your fleet of luxury with LWCH today. Speed and Ease of Access: The best part of hiring chauffeur transportation is they are paid to travel on a regular basis and are quite familiar with the roads you will be travelling, which means your driver pick the shortest and quickest route to reach the destination on time. You don’t have to worry about the parking: because you are getting chauffeured which means you will be treated like a VIP, which means you don’t have to circle the parking block in search of a parking space. Chauffeur transportation implies no parking worries. Getting the most out of the money: Bentley Hire is affordable and considerably comfortable as compared with local transportation. Get along with your friends and book chauffer transportation today with us. Why Bentley as a party vehicle: With booking a sophisticated Bentley you are much assured that your ride from the home to the concert would be luxury and smooth. Also, you get the chance to showcase your personality at the event by arriving with a luxurious Bentley- which fulfils all your needs.